Sling Media Inc., a wholly owned subsidiary ofEchoStar Corp. announced the availability of the Slingbox M1, a fully re-designed, award-winning Slingbox featuring WiFi connectivity, capable of delivering HD-quality video to the most popular mobile devices in the United Kingdom and Europe. With a UK manufacturer’s suggested retail price (MSRP) of £129, the Slingbox M1 is the most advanced Slingbox model the company has ever introduced. Since its release in the United States last year, Slingbox M1 has earned enviable reviewer feedback. 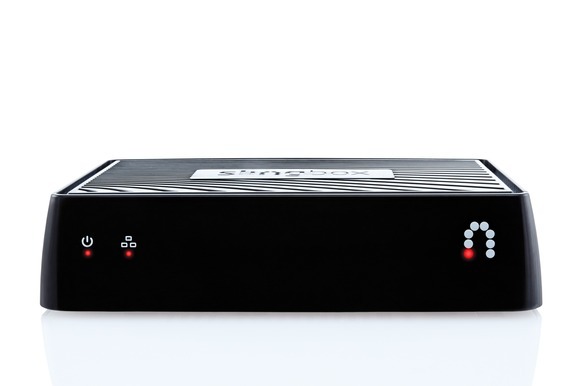 The hallmark of all Slingbox solutions is that they are the only genuine “TV Anywhere” solutions that are not limited by geo-blocking (inability to access content outside of the country where the Slingbox is being used) and can access 100% of a cable or satellite channel subscription.